How often do you think about ladders? Let’s be honest, the subject doesn’t come up too often unless you’re working in the construction or maintenance field. However, ladders are actually a more significant risk to safety than most people realize. For example, falling from a ladder accounts for 15 percent of all occupational deaths. That 90,000 people are sent to the emergency room every year because of falls from a ladder. Ladder falls also cause 700 deaths a year. Over the last 10 years, the rates of ladder-related injuries has increased by 50 percent. Use a ladder for its intended purpose only. Certain actions can make a ladder unstable and fall over while it’s in use. Regardless of what type of ladder you use, never stand on the very top rung of a ladder. Always maintain three points of contact with a ladder at all times to maintain stability, and do not lean over to reach for something while on a ladder. It is always safer to climb down and readjust a ladder in order to reach something instead of reaching out for it on a ladder. Additionally, never place the feet of a ladder on top of another object in order to gain more height, get a longer ladder. One of the leading reasons people fall off of ladders is because they were carrying something while on their ascent or descent. Thus, always have someone to hand what you’re trying to reach or bring up. Don’t Use a broken or worn out ladder. Eventually everything you own will need to be replaced and ladders are no exception. As ladders get used over the years, the stress of weight on the rungs will cause the ladder to weaken and collapse. Wooden ladders are particularly at risk of wearing down with age, though metal ladders will also need to be replaced after enough use. It’s also possible that your new ladder is defective, so it’s important to inspect the sturdiness of a ladder before you buy it. Remember to listen to your instincts when it comes to using ladders. In other words, if you don’t trust a ladder, do not use it. Place your ladder on a stable surface. 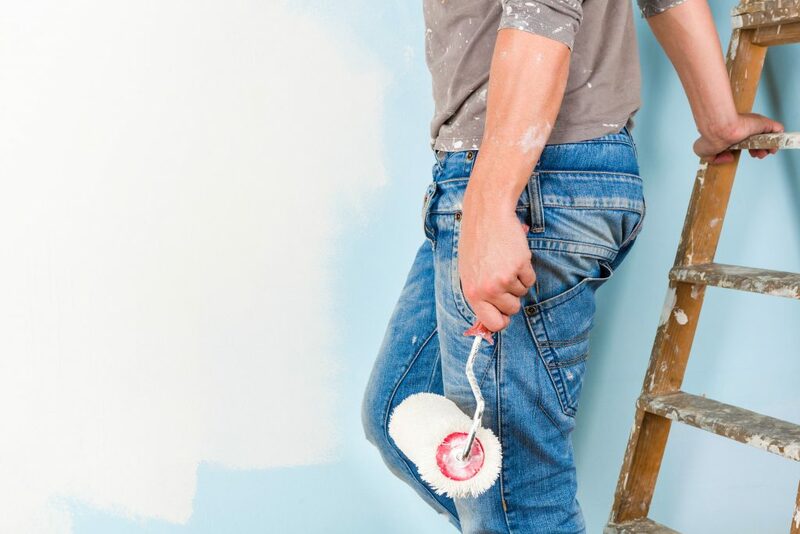 When setting up a ladder, place it on a sturdy and level surface. Many ladders have holes in their feet that are designed to be staked for stability outdoors. If it’s possible, have a helper hold the base of the ladder as you work. Another thing to keep in mind is the ladder’s weight capacity and which type of ladder you need. Some lighter ladders that are made of aluminium may be able to hold less weight than other heavier ladders. Also, there are several different kinds of ladders such as collapsible ladders, and A-frame ladders. Always try to determine which one would best suit your needs. Compensation for ladder-related injuries depends largely on the circumstances leading to how the injury occurred. If the injury you suffered from a ladder-related incident occurred while you were at work, workers’ compensation will most likely be your only means of compensation and will also limit your ability to sue your employer. On the other hand, if your employer knowingly knew about an unsafe work condition, or violated federal Occupational Safety and Health (OSHA) regulations, then you may have a basis on which to file a lawsuit. The key to winning an injury lawsuit, as with any other lawsuit, is to act quickly. If you are injured at a construction site, the safety mistake that led to your injury will probably be fixed quickly. However, this mistake will need to be documented to be used as evidence in your case. Your lawyer will need to be informed of your injury and how it happened as soon as possible so that he or she can start collecting statements, evidence and documents while they’re still available. Being injured on a ladder at home is another matter. If your ladder breaks while in use, and you used the ladder properly, then you may have a product liability claim. In this instance, it is the ladder manufacturer who may be responsible for your injuries and while be responsible for compensation. Ladder falls can cause a surprising amount of damage for just a short fall. If you survive a fall from a ladder, then you may also face fractured bones, a concussion or traumatic brain injury and spinal injuries. If you have been injured in a ladder-related incident, it would be wise to schedule a free consult with a personal injury lawyer to see what other options are available. Keep in mind that laws regarding product liability and workers’ compensation vary from state to state, and may result in different rates of compensation. But as a general rule of thumb, if you can prove that someone else is responsible for your injuries, you should be entitled to compensation. Why Do Scaffolding Accidents Happen? My Ladder/Scaffolding Accident Happened at Home. Can I Still Get Paid for My Injuries? In some cases, yes. If your accident was caused by a defective ladder or scaffold, you can seek compensation from the manufacturer, seller, or rental company. Depending on the circumstances surrounding your accident, there may be other reasons why you can seek compensation for your injuries. An experienced personal injury attorney can help you determine if you have a case. Who is Liable for Ladder and Scaffolding Accidents? 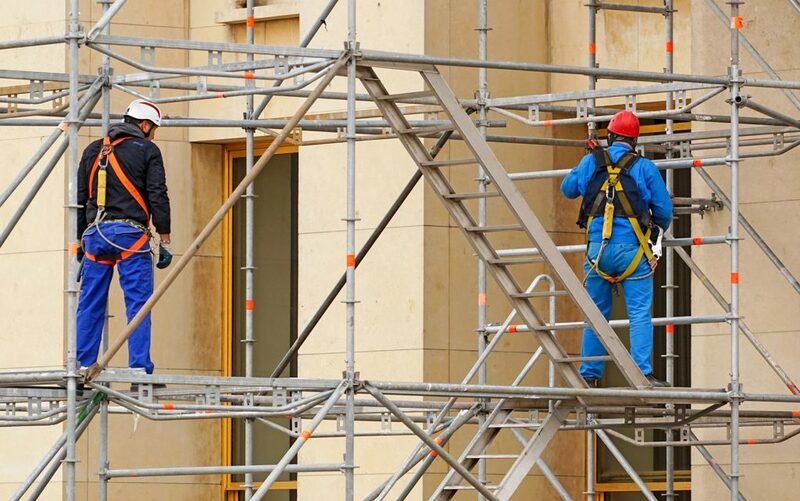 Can I Receive Workers’ Compensation Benefits for My Ladder/Scaffolding Accident? If your injuries occurred on-the-job, and you are eligible for Workers’ Compensation, then yes. This applies whether you were working on the ladder or scaffold or were injured while working nearby or passing by. Your work need not directly involve the ladder or scaffold. For instance, if you were struck by an object falling off a scaffold while walking by on an errand for work, you could receive Workers’ Compensation benefits. Eligibility, however, may be an issue. Most employees are protected by Workers’ Compensation laws, but there are exceptions which vary from state-to-state, and not all workers are employees. An experienced Workers’ Compensation attorney in your state can determine if you are eligible for Workers’’ Compensation benefits.